Likely No. 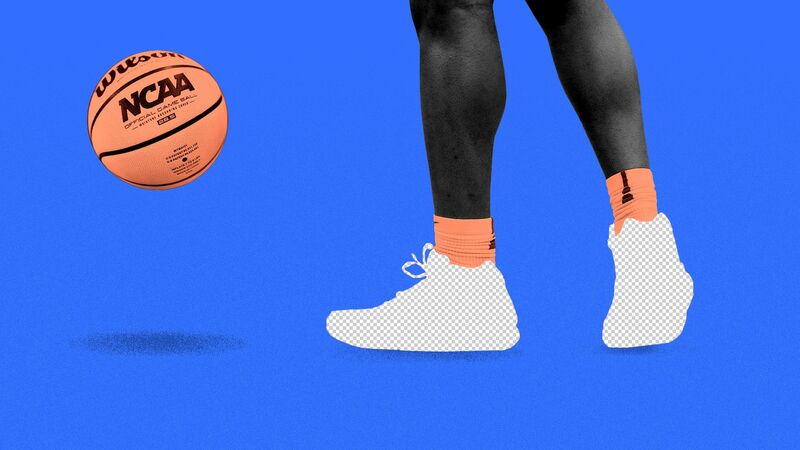 1 pick Zion Williamson is expected to sign a lucrative sneaker endorsement deal prior to this year's May 14 draft lottery, with sneaker companies confident he'll be a marketing superstar no matter where he lands. Why it matters: Many in the sneaker industry believe Williamson's deal will make him one of the three highest-paid rookie sneaker endorsers ever, rivaling LeBron James and Kevin Durant. Draft odds: As of this morning, New York, Phoenix and Cleveland all have a 14% chance of landing the top pick, with Chicago (12.5%) and Atlanta (10.5%) not too far behind. "In my lifetime, I think it's going to be the biggest bidding war ever done. ... He is going to have an opportunity to be the face of every company and every major corporation. He is the most marketable person I've seen, for a lot of different reasons." Details: Zion will almost certainly get his own signature shoe, which is something only nine rookies in league history have ever gotten. They are: Lonzo Ball (Big Baller Brand), LeBron James (Nike), Stephon Marbury (AND1), Allen Iverson (Reebok), Jerry Stackhouse (Fila), Grant Hill (Fila), Shaquille O'Neal (Reebok), Michael Jordan (Nike), Hakeem Olajuwon (Etonic). The brands: Nike (which he has some explosive history with, of course) and Adidas (which he grew up wearing) are the two biggest players, but let's be honest — every brand is going to at least take a run at this. Under Armour just signed Joel Embiid to a massive contract and has invested a ton of money into Steph Curry's overall business, so they could be strapped for cash. Puma and New Balance both re-entered the basketball sneaker market last year. Might they swing for the fences in hopes that Zion could do for them what Jordan did for Nike? Do they have deep enough pockets to make it happen? Chinese brand Anta, which has a deals with Klay Thompson and Gordon Hayward, can't be counted out. The good news for Zion: The NBA is expected to allow players to enter the league directly out of high school as soon as the 2022 draft, meaning Williamson could be one of the last "lightning-in-a-bottle NCAA superstars entering the NBA with a global social media profile," writes ESPN's Nick DePaula. That will work in his favor, as will the fact that he's not only a superstar on the court but also a well-spoken, extremely likable human off of it. Plus, the NBA is exploding in global popularity and has a unique connection to culture that other leagues can't quite match. That makes its athletes that much more attractive — and likely worth any shoe sales-related risk. The bad news: Speaking of shoe sales-related risk ... one could argue that Zion is entering the league at precisely the wrong time, with basketball shoes accounting for just 4% of the shoe market in 2018, down from a high of 13% just a few years earlier. "The basketball sneaker business is just terrible right now," Matt Powell, a sports industry analyst at NPD Group, told me. "[Zion] isn't going to generate a lot of shoe sales, so how much do you pay a guy who is essentially going to be an ambassador for your brand? I don't want to make it sound like there's no value there, but I just can't justify the cost."